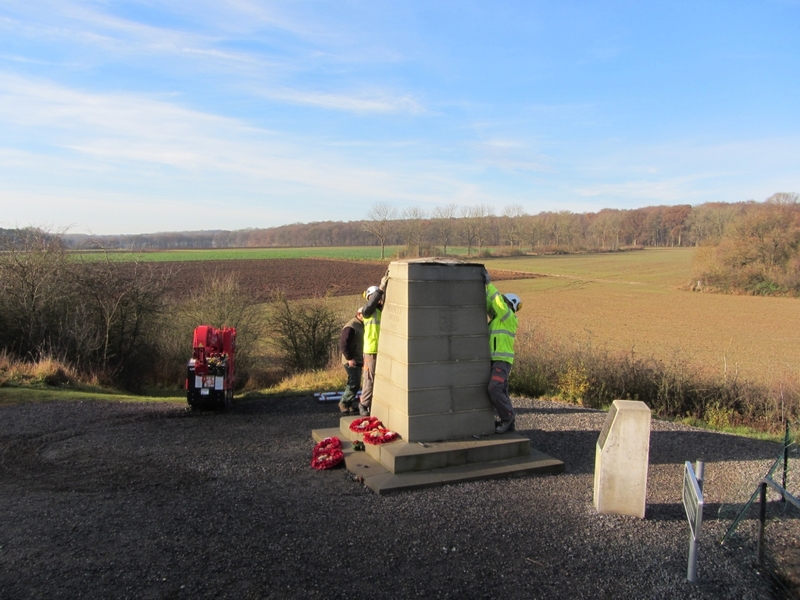 The South Wales Branch of the Western Front Association (WFA) commissioned the Commonwealth War Graves Commission (CWGC) to refurbish the 38th (Welsh) Division Memorial at Mametz Wood earlier in the year. Fund raising has been underway for some time and with the support from the Welsh Government (announced in September 2013) the work has now begun. Phase one involves the removal of an existing but unsuitable set of steps leading from the car park to the memorial and its replacement with a new set of steps, which are tucked into the bank with a viewing platform facing the Flat Iron Copse cemetery. Work began on this phase at the end of November and it is hoped that the new steps will be installed by March 2014; the steps will be fabricated off-site by French contractors. Phase two involves the refurbishment and repainting of the Dragon Sculpture. 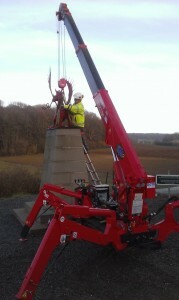 The Dragon was removed on the 9 December by representatives of the CWGC, overseen by a representative of the WFA. It has been taken to a workshop in Ypres where it will be cleaned, repaired and repainted to the original specifications of the sculptor (David Petersen) and then returned to Mametz Wood in the spring of 2014. The third phase, for which the WFA is actively fundraising, is for the landscaping and planting of the site, which will be carried out by the CWGC. It will be necessary to plant shrubs to help bind the soil together and provide ground cover as well as wild flowers and grassed areas. 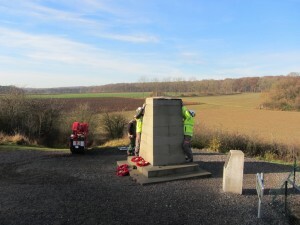 For the final stage, the WFA intends that the site is planted with a significant number of Daffodil bulbs and Poppies. 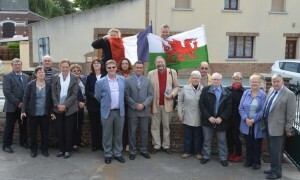 In all this the local villagers and Mayor of Mametz, Stephane Brunel, have been extremely supportive. The Mayor has spoken of the debt he and the community feel for the sacrifice of the Welsh soldiers at Mametz Wood and that they are looking forward to marking the Centenary Commemoration in 2016. The local community has funded 40,000 Euros for the re-surfacing of the road leading to the memorial and improving the turning circle in the car park to accommodate the largest coaches. The local community also hopes to improve the road leading to Flat Iron Copse Cemetery where many of those killed in July 1916 are buried and to improve directional signage to the two sites. In September 2013 the First Minister of Wales, Carwyn Jones visited the memorial and met with Mayor of Mametz and members of the local community. Preparations are now beginning to be made for the Centenary Commemoration in July 2016.